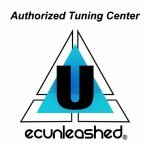 Now available at POWERHOUSE...ECUnleashed tuning!! ECUnleashed Tuning Technology is a performance service consisting of reprogramming or “flashing” your motorcycles stock ECU (Electronic Control Unit) unlocking the hidden potential of your bike. This results in incredible power gains, optimum engine deceleration maps, increased rev limit, smoother on/off throttle response, “Dash Code” removal and so much more. The bike retains all stock instrument and light functions along with all safety parameters of the stock ECU. ECUnleashed uses only the most advance hardware and software developed and distrubuted by their Italian partners, Piasini Engineering. This offers the track day enthusiast, club racers, and even factory race teams an incredibly competitive “Plug-n-Play” electronics service package without the extensive cost and testing time associated with a race kit ECU, wiring harnesses, cables etc. Click here to download the order form. Fill out as accurately as possible. All ECU’s can be reprogrammed back to it’s stock settings at anytime. ECUnleashed performance Tune Files have been Dyno tested and tuned for maximum performance. While most vehicles show a 6-10% increased in power, we have seen vehicles result in as high as +20% power gains. Do it right the first time - at Powerhouse. © 2019 - All images and content on this site copyright of Powerhouse Motorcycles New York. Unauthorized use of these images or content without written permission of Powerhouse Motorcycles New York is an infringement of copyright law and will result in legal action. All rights reserved as protected by Federal copyright laws.